For these holy people, the day of their encounter with God was not an ordinary day. For them that day was not like any other else, it was the event that changed their lives. Then, they put their lives to service to God. It is important to notice that in all these three cases, the vocation was for a mission of salvation and that for God the sins and the fragility of the three men had not been an objection to the call. He forgave them, purified them, and gave them the strength for the task. All of them received the peace of forgiveness and became missionaries among men. They became the spokespersons of God and of His Kingdom, that is a kingdom of freedom, justice, truth, peace and above all of love. To Isaiah, who welcomed the divine cry “ Whom shall I send? Who will go for us?”, God changed the heart so that he could answer “Here I am, send me!”. The great prophet could answer in this way because the Seraphim had purified his lips with burning coal. This angelic act is the consequence of the fact that Isaiah had encountered God and had recognized his condition as a sinner. Christ gave to Paul His grace and told him “I have appeared to you for this purpose, to appoint you as a servant and a witness of what you have seen [of me] and what you will be shown.” (Acts, 26 16b) For the Apostle of the Gentiles, the encounter with the Lord was the condition to change the meaning of his life and to live it as a mission. From fierce persecutor, Paul became a tireless announcer of Christ. To Peter Jesus gave a strength steady as a stone so that the first among the apostles could follow Him without yielding. 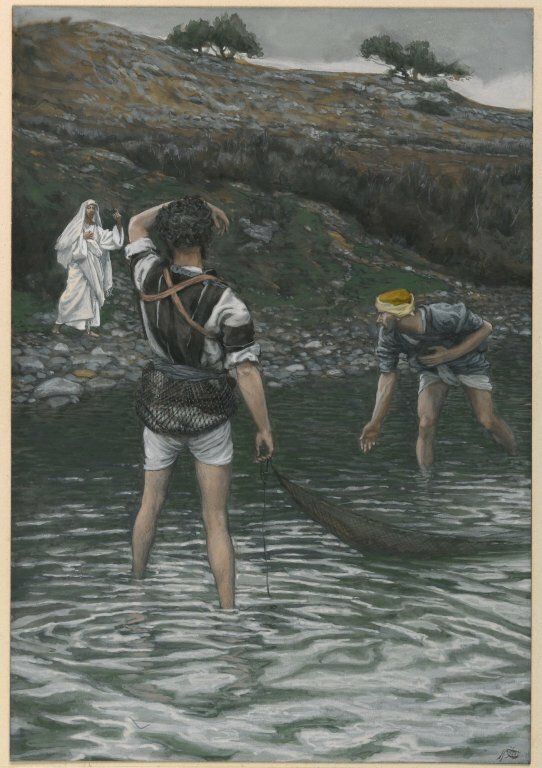 When he was the costar of the miraculous catch of fish Peter had said to Jesus “ Depart from me, Lord, for I am a sinful man. I’m not worthy to have a Saint in my boat” (Lk 5,8). The Redeemer answered, “Do not be afraid; from now on you will be catching men.” (Lk 5:10) The humble fisherman of Galilee became the one who fished men, lifting them from the water poisoned by sin and plunging them in the water purified by God’s love. The astonishment of the miracle, the words and above all the encounter with Christ invaded not only Peter but also all the ones who were out fishing with him and in particular his brother Andrew and his partners James and John. Jesus wasn’t alone anymore. Four men, two brothers who became even more brothers because of the common faith, abandoned everything, their job and their families, to become companions of Christ. Four humble fishermen, four workmen who, if not illiterate definitely not doctors, had been called by Jesus to share His mission as the savior of the human family. Why did these fishermen leave everything to follow this Man who was not promising money nor glory and was speaking “only” about love, perfection, poverty, and joy (“Blessed be the poor because they will be the Kingdom of Heaven”)? The Apostles accepted life as a vocation and Christ’s mission became their vocation. Zacchaeus was only curious to see Him and didn’t have any intention whatsoever to be close to Christ because, being a publican, he was considered a sinner. He didn’t know that Christ had come to call the sinners, to give them a vocation that is the proposal to be with him and to share his life and his mission. On the day when Christ was going by Jericho, this man, very attached to money, had climbed a tree just to see the Messiah from a distance. For him, that day was not an ordinary day. It was the day of the encounter between him and Christ who, looking at him with love (Christ loves the sinners. He has come for them and for us) said to him “Today I must stay at your house”. Perhaps Christ had thought of him when He told the parable of the Pharisee and the Publican who didn’t dare to lift his eyes, was ashamed to be in front of the Lord, sighted, was beating his chest and was able only to say” God, have pity on me because I’m a sinner”. Perhaps in Zacchaeus, the question of forgiveness was implicit in the request to see Jesus. it is a call to be in communion with Christ. Therefore, it is natural for this man to put himself at disposal of the Man-God and of His messianic mission. This publican “welcomes Jesus with joy” because Christ’s invitation had given new and true meaning to his life. His neighbor was not any more someone to take advance of, but someone with whom to have relations of justice, forgiveness and true fraternity. Vocation to love in virginity. Matrimony and virginity are not in contrast. 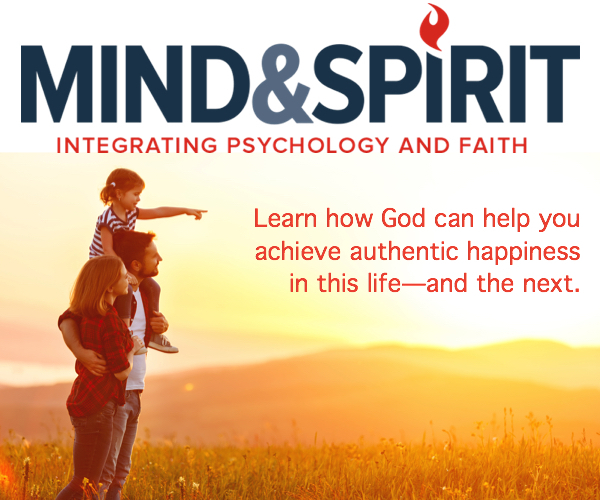 They are two different and complementary gifts that converge manifesting the same spousal mystery of the fecund and salvific union between Christ and the Church. However, it is important to remember that, in the Church, Virginity is the highest vocation. It is the acme of love, the full answer to Christ’ predilection, inside which one can look at people in the same way Christ had looked. Of this love of predilection, the Virgins are called to be martyrs (a Greek word that means witnesses), spouses and mothers in spirit, and able to give their life with passion so that Christ can be known and the encounter with Him may change one’s life. The Bishop during the Rite of the Consecration of the Virgins urges “ Your motherhood will be a motherhood of the spirit, as you do the will of your Father and work with others in a spirit of charity, so that a great family of children may be born, or reborn, to the life of grace.”( CV 29) ”Our Lord Jesus Christ(….) may by the strength of his word make your life fecund) “( CV 56) “The Holy Church considers you an elected part of Christ’s flock: in you his supernatural fecundity blooms and gives fruit”( CV 29). In this way the consecrated Virgins collaborate to the divine fishing, generating and recuperating many children to the life of grace and love given by Christ. Ye who were present yesterday remember my promise; which with the Lord’s assistance is to be made good to-day, not to you only, but to the many others also who have come together. It is no easy question, who the ten virgins are, of whom five are wise, and five foolish. Nevertheless, according to the context of this passage which I have wished should be read again to you to-day, Beloved, I do not think, as far as the Lord vouchsafes to give me understanding, that this parable or similitude relates to those women only who by a peculiar and more excellent sanctity are called Virgins in the Church, whom by a more usual term we are wont also to call, “The Religious,” but if I mistake not this parable relates to the whole Church. But though we should understand it of those only who are called “the Religious,” are they but ten? God forbid that so great a company of virgins should be reduced to so small a number! But perhaps one may say, “But what if though they be so many in outward profession, yet in truth, they are so few, that scarce ten can be found!” It is not so. For if he had meant that the good virgins only should be understood by the ten, He would not have represented five foolish ones among them. For if this is the number of the virgins which are called, why are the doors of the great house shut against five? So then let us understand, Dearly Beloved, that this parable relates to us all, that is, to the whole Church together, not to the Clergy only of whom we spoke yesterday; nor to the laity only; but generally to all. Why then are the Virgins five and five? These five and five virgins are all Christian souls together. But that I may tell you what by the Lord’s inspiration I think, it is not souls of every sort, but such souls as have the Catholic faith, and seem to have good works in the Church of God; and yet even of them, “five are wise, and five are foolish.” First then let us see why they are called “five,” and why “virgins,” and then let us consider the rest. Every soul in the body is therefore denoted3089 by the number five because it makes use of five senses. For there is nothing of which we have perception by the body, but by the five folded gate, either by the sight, or the hearing, or the smelling, or the tasting, or the touching. Whoso then abstaineth from unlawful seeing, unlawful hearing, unlawful smelling, unlawful tasting, and unlawful touching, by reason of his uncorruptness3090 hath gotten the name of virgin. But if it be good to abstain from the unlawful excitements of the senses, and on that account, every Christian soul has gotten the name of virgin; why are five admitted and five rejected? They are both virgins and yet are rejected. It is not enough that they are virgins; and that they have lamps. They are virgins, by reason of abstinence from unlawful indulgence of the senses; they have lamps, by reason of good works. Of which good works the Lord saith, “Let your works shine before men, that they may see your good works, and glorify your Father which is in heaven. ”Again He saith to His disciples, “Let your loins be girded and your lamps burning.” In the “girded loins” is virginity; in the “burning lamps” good works. The title of virginity is not usually applied to married persons: yet even in them, there is a virginity of faith, which produces wedded chastity. For that you may know, Holy Brethren, that everyone, every soul, as touching the soul, and that uncorruptness of faith by which abstinence from things unlawful is practiced, and by which good works are done, is not unsuitably called “a virgin;” the whole Church which consists of virgins, and boys, and married men and married women, is by one name called a Virgin. Whence prove this? Hear the Apostle saying, not to the religious women only but to the whole Church together; “I have espoused you to One Husband, that I may present you as a chaste virgin to Christ.”And because the devil, the corrupter of this virginity, is to be guarded against, after the Apostle had said, “I have espoused you to one husband, that I may present you as a chaste virgin to Christ;” he subjoined, “But I fear, lest as the serpent beguiled Eve through his subtilty, so your minds should be corrupted from the simplicity that is in Christ.”Few have virginity in the body; in the heart, all ought to have it. If then abstinence from what is unlawful be good, whereby it has received the name of virginity, and good works are praiseworthy, which are signified by the lamps; why are five admitted and five rejected? If there be a virgin, and one who carries lamps, who yet is not admitted; where shall he see himself, who neither preserveth a virginity from things unlawful and who not wishing to have good works walketh in darkness? What is it then, Brethren? Let us treat now of the five wise and the five foolish virgins. They wished to go to meet the Bridegroom. What is the meaning of “to go and meet the Bridegroom”? To go with the heart, to be waiting for his coming. But he tarried. “While he tarries, they all slept.” What is “all”? Both the foolish and the wise, “all slumbered and slept.” Think we this sleep good? What is this sleep? Is it that at the tarrying of the Bridegroom, “because iniquity aboundeth, the love of many waxeth cold”? Are we to understand this sleep so? I like it not. I will tell you why. Because among them are the wise virgins; and certainly when the Lord said, “Because iniquity shall abound, the love of many shall wax cold;” He went on to say, “But he that shall endure unto the end, the same shall be saved. ”Where would ye have those wise virgins be? Are they not among those that “shall endure unto the end”? They would not be admitted within at all, Brethren, for any other reason, than because they have “endured unto the end.” No coldness of love then crept over them, in them love did not wax cold; but preserves its glow even unto the end. And because it glows even unto the end, therefore are the gates of the Bridegroom opened to them; therefore are they told to enter in, as that excellent servant, “Enter thou into the joy of thy Lord.”3100 What then is the meaning of they “all slept”? There is another sleep which no one escapes. Remember ye not the Apostle saying, “But I would not have you to be ignorant, brethren, concerning them which are asleep,” that is, concerning them which are dead? For why are they called “they which are asleep,” but because they are in their own day? Therefore “they all slept.” Thinkest thou that because one is wise, he has not therefore to die? Be the virgin foolish, or be she wise, all suffer equally the sleep of death. “Lo, at midnight there was a cry made.”What is, “at midnight”? When there is no expectation, no belief at all of it. Night is put for ignorance. A man makes as it were a calculation with himself: “Lo, so many years have passed since Adam, and the six thousand years are being completed, and then immediately according to the computation of certain expositors, the Day of Judgment will come;” yet these calculations come and pass away, and still the coming of the Bridegroom is delayed, and the virgins who had gone to meet him sleep. And, lo, when He is not looked for, when men are saying, “The six thousand years were waited for, and, lo, they are gone by, how then shall we know when He will come?” He will come at midnight. What is, “will come at midnight”? Will come when thou art not aware. Why will He come when thou art not aware of it? Hear the Lord Himself, “It is not for you to know the times or the seasons which the Lord hath put in His own power.” “The day of the Lord,” says the Apostle, “will come as a thief in the night.”Therefore watch thou by night that thou be not surprised by the thief. For the sleep of death—will ye, or nill ye—it will come. “But when that cry was made at midnight.” What cry was this, but that of which the Apostle says, “In the twinkling of an eye, at the last trump”? “For the trumpet shall sound, and the dead shall be raised incorruptible, and we shall be changed”? And so when the cry was made at midnight, “Behold, the Bridegroom cometh;” what follows? “Then all those virgins arose.” What is, “they” all arose? “The hour will come,” said the Lord Himself, “when all that are in the graves shall hear His voice, and shall come forth.” Therefore at the last trumpet, they all arose. “Now those wise virgins had brought oil with them in their vessels, but the foolish brought no oil with them.”3109 What is the meaning of “brought no oil with them in their vessels”? What is “in their vessels”? In their hearts. Whence the Apostle says, “Our glorying is this, the testimony of our conscience.” There is the oil, the precious oil; this oil is of the gift of God. Men can put oil into their vessels, but they cannot create the olive. See, I have oil, but didst thou create the oil? It is of the gift of God. Thou hast oil. Carry it with thee. What is “carry it with thee”? Have it within, there please thou God. But they say, “Not so, lest there be not enough for us and you, but go ye rather to them that sell, and buy for yourselves.” This was not the answer of those who give advice, but of those who mock. And why mock they? Because they were wise because wisdom was in them. For they were not wise by ought of their own; but that wisdom was in them, of which it is written in a certain book, she shall say to those that despised her when they have fallen upon the evils which she threatened them; “I will laugh over your destruction. ”What wonder then is it, that the wise mock the foolish virgins? And what is this mocking? “Go ye to them that sell, and buy for yourselves:” ye who never were wont to live well, but because men praised you, who sold you oil. What means this, “sold you oil”? “Sold praises.” Who sell praises, but flatterers? How much better had it been for you not to have acquiesced in flatterers, and to have carried oil within, and for a good conscience-sake to have done all good works; then might ye say, “The righteous shall correct me in mercy, and reprove me, but the oil of the sinner shall not fatten my head.” Rather, he says, let the righteous correct me, let the righteous reprove me, let the righteous buffet me, let the righteous correct me, than the “oil of the sinner, fatten mine head.” What is the oil of the sinner, but the blandishments of the flatterer? “Go ye” then “to them that sell,” this have ye been accustomed to do. But we will not give to you. Why? “Lest there be not enough for us and you.” What is, “lest there be not enough”? This was not spoken in any lack of hope but in a sober and godly humility. For though the good man have a good conscience; how knows he, how He may judge who is deceived by no one? He hath a good conscience, no sins conceived in the heart solicit him, yet, though his conscience be good, because of the daily sins of human life, he saith to God, “forgive us our debts;” seeing he hath done what comes next, “as we also forgive our debtors.” He hath broken his bread to the hungry from the heart, from the heart hath clothed the naked; out of that inward oil he hath done good works, and yet in that judgment even his good conscience trembleth. See then what this, “Give us oil,” is. They were told, “Go ye rather to them that sell.” In that ye have been used to live upon the praises of men, ye do not carry oil with you; but we can give you none; “lest there be not enough for us and you.” For scarcely do we judge of ourselves, how much less can we judge of you? What is “scarcely do we judge of ourselves”? Because, “When the righteous King sitteth on the throne, who will glory that his heart is pure?” It may be thou dost not discover anything in thine own conscience; but He who seeth better, whose Divine glance penetrateth into deeper things, discovereth it may be something, He seeth it may be something, He discovereth something. How much better mayest thou say to Him, “Enter not into judgment with Thy servant”? Yea, how much better, “Forgive us our debts”? Because it shall be also said to thee because of those torches, because of those lamps; “I was hungry, and ye gave Me meat.” What then? did not the foolish virgins do so too? Yea, but they did it not before Him. How then did they do it? As the Lord forbiddeth, who said, “Take heed that ye do not your righteousness before men to be seen of them, otherwise ye have no reward of your Father which is in heaven: and when ye pray, be not as the hypocrites, for they love to pray, standing in the streets, that they may be seen of men. Verily I say unto you, they have received their reward.” They have bought oil, they have given the price; they have bought it, they have not been defrauded of men’s praises, they have sought men’s praises, and have had them. These praises of men aid them not in the judgment day. But the other virgins, how have they done? “Let your works shine before men, that they may see your good works, and glorify your Father which is in heaven.” He did not say, “may glorify you.” For thou hast no oil of thine own self. Boast thyself and say, I have it; but from Him, “for what hast thou that thou hast not received?” So then in this way acted the one, and in that the other. Now it is no wonder, that “while they are going to buy,” while they are seeking for persons by whom to be praised, and find none; while they are seeking for persons by whom to be comforted, and find none; that the door is opened, that “the Bridegroom cometh,” and the Bride, the Church, glorified then with Christ, that the several members may be gathered together into their whole. “And they went in with Him into the marriage, and the door was shut.” Then the foolish virgins came afterward, but had they bought any oil or found any from whom they might buy it? Therefore they found the doors shut; they began to knock, but too late. The five wise virgins came, and “went in.” How many are ye, my Brethren, in the profession of Christ’s Name! let there be among you the five wise, but be not five such persons only. Let there be among you the five wise, belonging to this wisdom of the number five. For the hour will come, and come when we know not. It will come at midnight, Watch ye. Thus did the Gospel close; “Watch, for ye know neither the day nor the hour.” But if we are all to sleep, how shall we watch? Watch with the heart, watch with faith, watch with hope, watch with charity, watch with good works; and then, when thou shalt sleep in thy body, the time will come that thou shalt rise. And when thou shalt have risen, make ready the lamps. Then shall they go out no more, then shall they be renewed with the inner oil of conscience; then shall that Bridegroom fold thee in His spiritual embrace, then shall He bring thee into His House where thou shall never sleep, where thy lamp can never be extinguished. But at present, we are in labor, and our lamps flicker amid the winds and temptations of this life; but only let our flame burn strongly, that the wind of temptation may increase the fire, rather than put it out.